It's been 108 years since the Chicago Cubs won a championship but they finally did it last night in dramatic fashion! What a series and what a game! Growing up in the Chicagoland area I've been a Cubs fan all of my life and wondered if I would ever see them do this while I have breath in my body. It has happened so now I can depart this mortal earth in peace when my time is up. 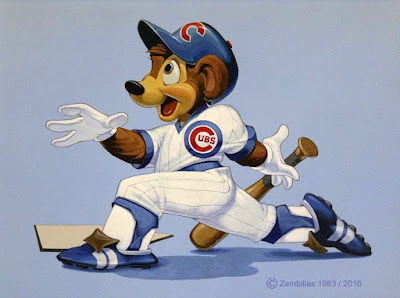 In honor of their victory I went into my archives and found a painting I did way back in 1983. I had a company that was printing and marketing sports posters at the time. 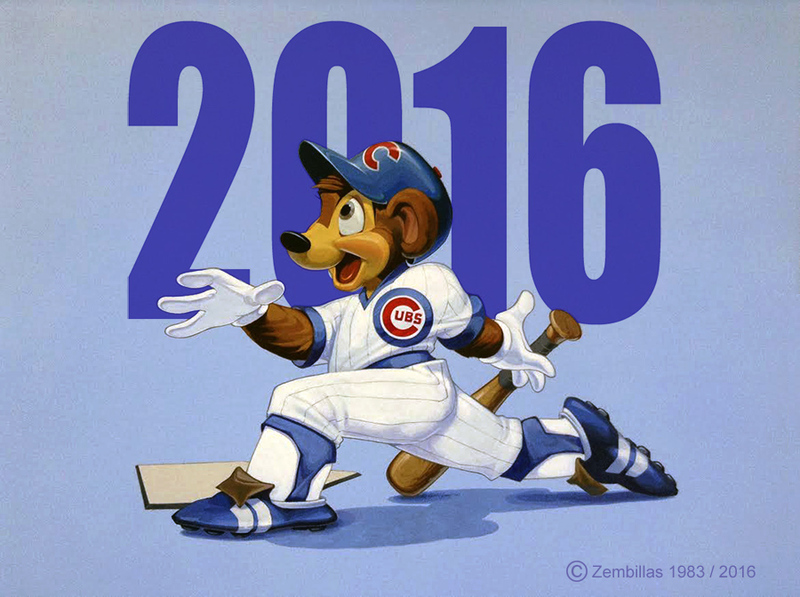 I created this for the Cubs in hopes that I could get a license to market the print. Alas it was too cute for the franchise as they were changing their image to something more aggressive so the feel of the character didn't work out for them. And since Photoshop didn't exist in those days it was too labor intensive to redo the painting. So I moved on to other things. Here we are 33 years later so why not get this out as part of the celebration. The original image followed by something for today. The past and the present merge.